Adair Turner, one of the most respected economists in Britain and the former head of the Financial Services Authority, just nailed one of the biggest issues facing the global economy right now — debt. Appearing in the Financial Times’ fantastic weekly “Lunch with the FT” interview, Turner discussed everything from Brexit, to his formative years at Cambridge University, to his tenure as head of the Confederation of British Industry in the 1990s, but his most interesting insights came on the topic of debt. The ex-regulator told the FT’s Martin Wolf that global macroeconomic stability now relies on creating incredible amounts of debt, and that the huge amount of debt accrued in the global economy right now has essentially helped create a self-fulfilling prophecy where debt is bound to increase, thanks to perpetually low interest rates. 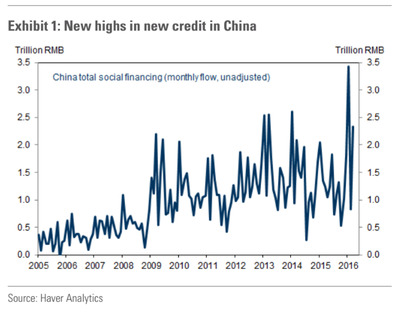 China’s spiralling debt is of particular concern, Turner noted. Goldman Sachs recently pointed out that more than $1 trillion (£700 billion) of new debt was issued in the country in the first quarter of 2016. The country’s debt to GDP ratio is now more than 270%, and is still growing, despite economic growth slowing down. 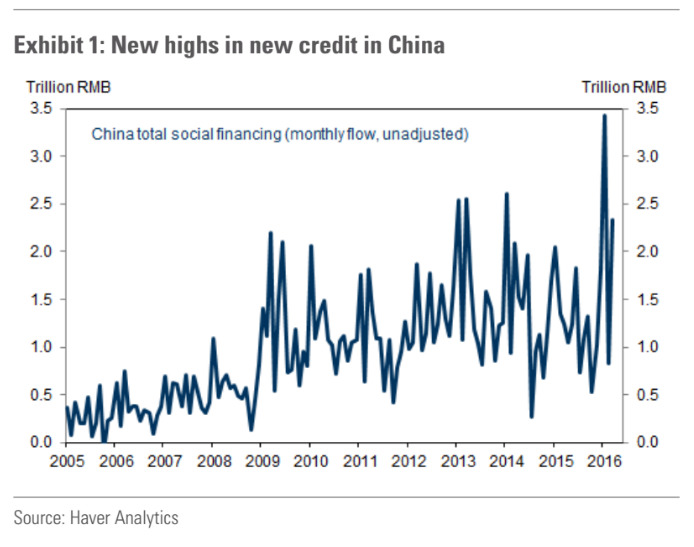 Despite China’s crazy levels of indebtedness, Turner is broadly happy with the stability of the global economy, saying “the financial system is safer” than it was prior to the financial crisis, thanks in part to stricter capital controls placed on banks. “The likelihood of something very much like 2007-08 is appreciably diminished. The financial system itself is significantly more robust than it was then, essentially because we significantly increased the amount of capital. People sometimes fail to realise how big this is because we started with almost nothing. While he is not too worried about the overall the state of the world’s economies, Turner told the FT that he does have serious concerns about the eurozone: “The eurozone really does worry me because it is a society of large and imperfectly integrated ethnic, religious and cultural minorities, large and to a degree uncontrolled migration flows, still-too-high unemployment and huge internal imbalances,” he told Wolf. You can read Turner’s full Lunch with the FT interview here.